Don't worry, it's simple to add minutes to Tracfone handsets. I'll tell you how. I'll also tell you how to avoid one of the few things that can go wrong. First, purchase a tracfone prepaid airtime card from any one of the zillions of stores in the USA. It's usually a few cents cheaper at Walmart, but not worth the drive unless you're going there anyway. Next, scratch off the silver area on the back to reveal the Airtime Pin number. You must be have a signal forthe units to be added. Once, I was out of range and went through the procedure for adding airtime, and I still got the same "Units will be added shortly," message. When my phone was back in range, I waited to see if the phone would try to reconnect to Tracfone's system in order to add my minutes, but it did NOT. So, when I was in range, I went ahead and repeated the procedure, entering the same Airtime PIN number, and this time it worked immediately. Enter the 15-digit Airtime Pin number on your card and press Enter. The Tracfone's screen should then display the message: "Units will be added shortly." Then a bit later (only about 20 seconds in my case) you should see that the units have been added to your airtime balance. You may then also get a message to turn off your phone and turn it back on. You should proceed with the activation of Tracfone card minutes soon after purchase, since there is a slim chance that someone else could accidentally redeem your airtime by entering the wrong airtime pin number. Then, I suppose you would have to contact Tracfone customer service. It's simple to add minutes to Tracfone handsets this way! Refill your Tracfone Airtime online here. You can find your Tracfone's serial number from the "Prepaid" menu of your phone. If you also need to activate your phone it's best to do it online, if you can, because otherwise you are given a series of long numbers that you have to enter into your Tracfone, and it can be easy to make a mistake. You can add minutes to Tracfone handset at the same time. By then, you've already entered the serial number etc., so it's simple to add the airtime as well. That's about it. As you can see, it's not complicated. 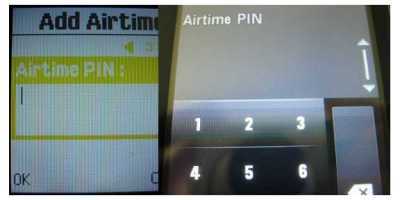 You can buy and add minutes directly from the phone with their new "Airtime on Demand" feature. This can be more convenient, but you can't test a promo code to see that it still works before using it which you can do when you're ordering online. Because there's no contract, every time you buy airtime you're making a commitment to continue with your prepaid service. Because of this, cell phone companies have come up with various marketing ploys to stay with them such as . . . The airtime deals on Tracfone airtime don't change much over the months, however, the actual codes do. Generally, they're a little more generous around major holidays. In comparison, other companies offer discounts for loyalty or for purchasing directly through their website.